This protects hands from small cuts or scrapes, and creates a barrier from infection-causing bacteria in the soil. Even though there may be 1,000 weeds to pull, staying in the same position to pull all of them is not a good idea. Shift positions: sitting or kneeling on a pad about every 5 minutes. You might even want to rest and stretch between sessions. Look for wide handles, padding and the correct height so you can maintain an upright position. When gardening, if there is a tool that will do the job, use the tool rather than your hands. Often the last thing you want to do after lifting that 15th bag of mulch is to use proper form, but squatting, keeping the back straight and lifting with your legs can minimize back pain later on. If you are known to sit all the way back on your knees with your hind end resting on your feet, you may want to reconsider it. This position places a tremendous amount of strain on the knees. Consider using knee pads (fashionable, we know) or a kneeling pad or bench for extra cushion for the knees. Ask Dr. Hansen: What Are The Causes Of Knee And Hip Joint Pain? The demand for total knee and total hip joint replacements is on the rise. 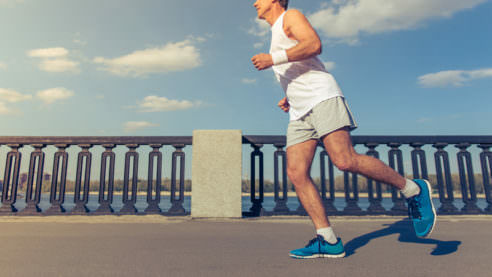 Summit orthopedic surgeon Dr. Dane Hansen explains the causes of joint injury and how these conditions may be managed with nonsurgical treatments. Ask Dr. Skendzel: How Are Kneecap Injuries Evaluated? Sports-related kneecap injuries are common among young athletes. Dr. Skendzel explains when these injuries should be medically evaluated.